The rustic movement of the mid-nineteenth century was characterized by designs that were made to look like they were from the country. Elegant and slim curved lines in furniture gave way to bulkier and heavier forms made from pieces that came directly from the trees often with the bark still intact. 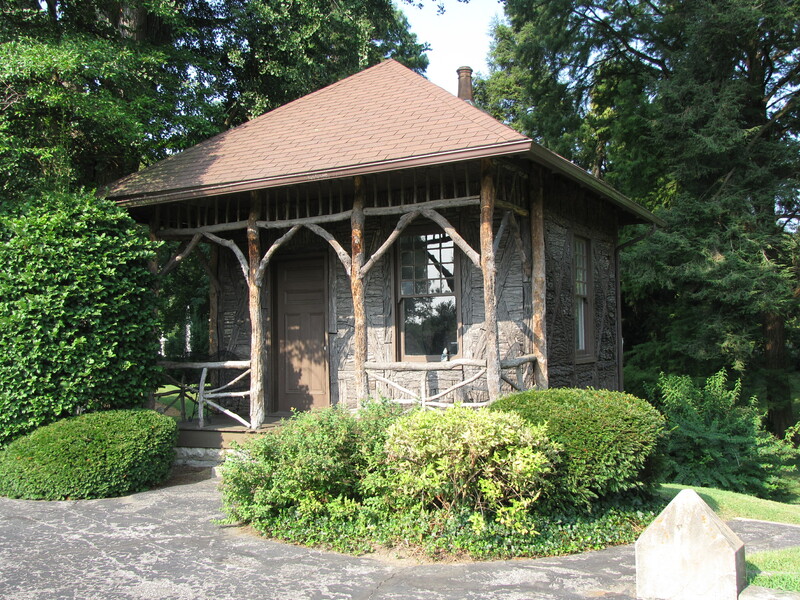 Homes, cabins, and garden houses were designed in the rustic style eschewing classic designs. In decorative furniture this often took the form of chairs made from rough tree limbs curved to form arms and chair backs, chair legs made from tree roots growing upwards. In cabins, railings and the siding were made from unhewn logs with the bark still in place. In funerary art, tombstones took on the look of tree stumps. The gravestones were purposefully designed to look like trees that had been cut and left in the cemetery to mark a grave. Most of these tree-stump tombstones were carved from limestone, which is easier to carve, though some are made from marble and even a few from granite. Often, the gravestones were carved to look like rustic furniture. 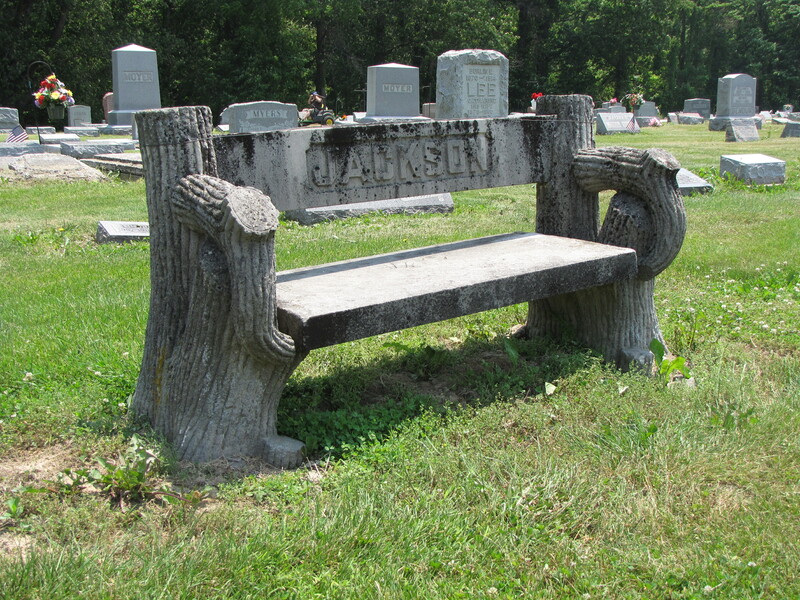 Benches and chairs can be found in many cemeteries. The creativity of the carvers were boundless. 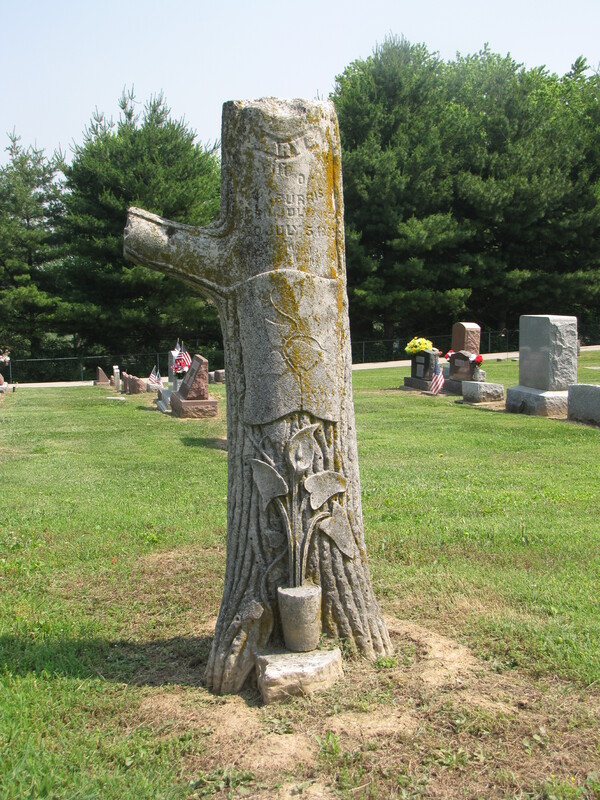 Thousands of tree-stump tombstones exist in nearly as many designs. The rustic movement coincided with the rural cemetery movement. The rural cemeteries were often located on the outskirts of town and laid out as a park would be—with broad avenues and winding pathways, featuring picturesque landscaping such as ponds, abundant trees, and shrubs. The tree-stump tombstones were a funerary art contrivance mimicking the natural surroundings of the cemetery. The tree-stump tombstones were most popular for a twenty year-period from about 1885 until about 1905. I live in Klamath Falls Oregon and have a tree stump headstone that will hold two cremation ashes or can be used as a headstone. If interested I can be reached at email address below.